OK, I was wrong. 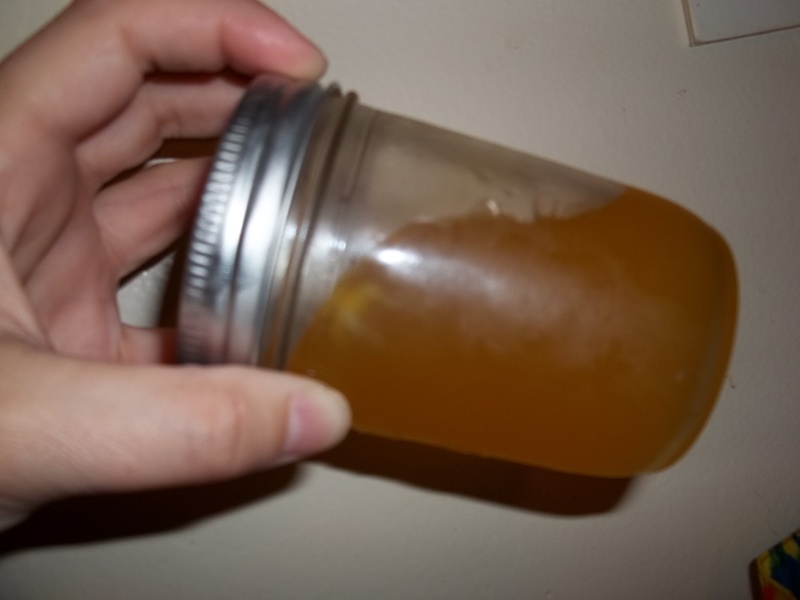 I was testy after getting carpal tunnel on my arms from all the oranges I had to juice and scrape and peel and boil … and I was disappointed that all of that work only yielded a jar and an almost-full jar. However, the jelly itself turned out great. After only 24 hours (the recipe said to wait 2 days for the jelly to fully gel), the jelly is firm enough to cut (although a little loose, see photo) and it’s very tasty. I still plan to use the same procedure with the rest of these food swap oranges that I did with the lemons and limes in the previous post — slicing them, peels and all, covering them in water, and letting them soak overnight, then boiling and straining them, and at the very end, adding the sugar. I am very interested to see how the taste, texture and procedure are different. Stay tuned. 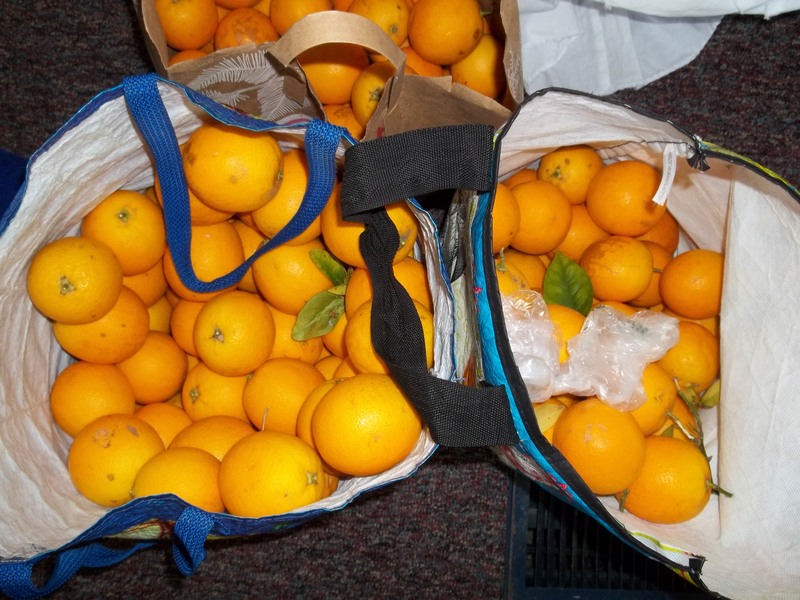 Nothing says summer like a giant bag of fresh oranges from a friend’s tree. 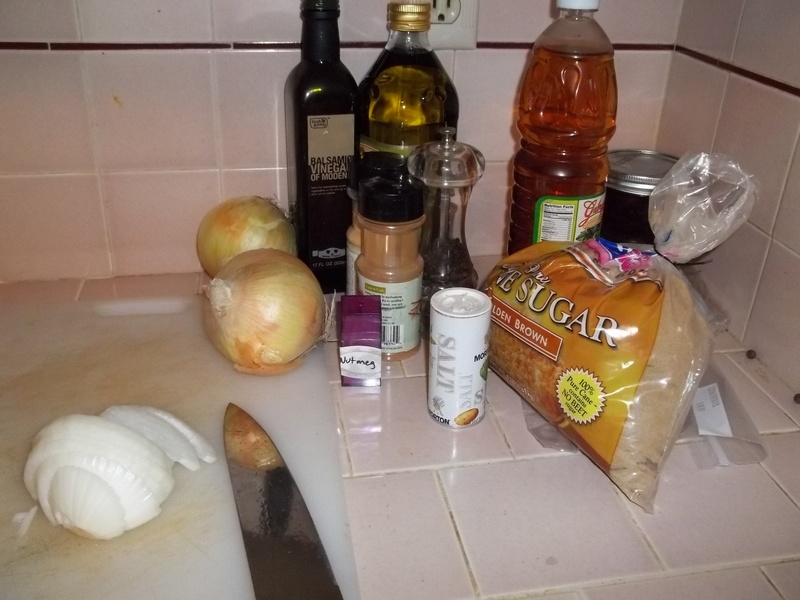 I got four bags from my friend at this month’s San Diego Food Swap — as well as finishing salts, marinara sauce, meat sauce, BBQ sauce and homemade cookies. If you are local I would totally recommend coming, and if you are in another town you should definitely find a local swap or start one yourself (like I did). 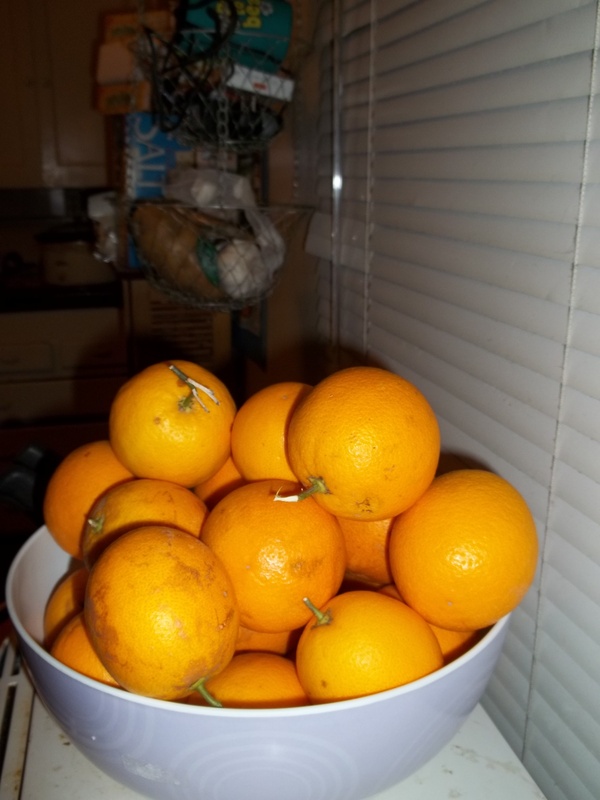 There are a few ways to use these oranges — given my past experiements with marmalade, I wanted something decidely sweet. I mentioned in an earlier post that Linda Ziedrich’s awesome jelly book has a recipe for orange jelly, with a twist — you have to use pectin from another recipe in the book. 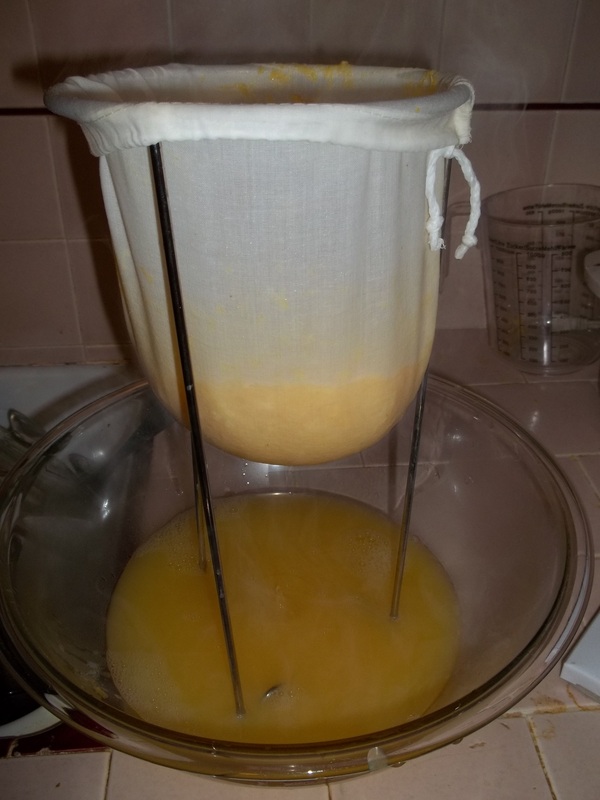 Essentially, you juice the oranges, save the juice, then scrape the membrane and pith out of the oranges to make into pectin. I was mesmerized. 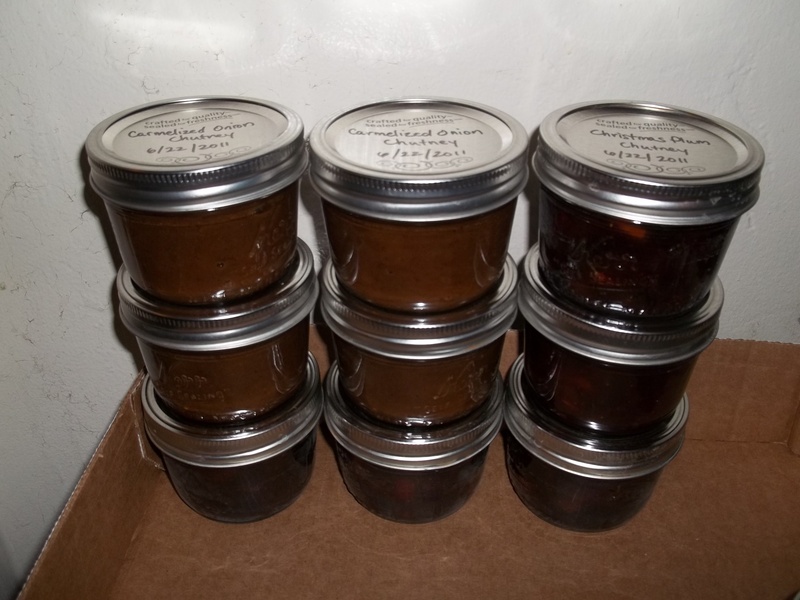 A way to make delicious jams and jellies, without tons of sugar? 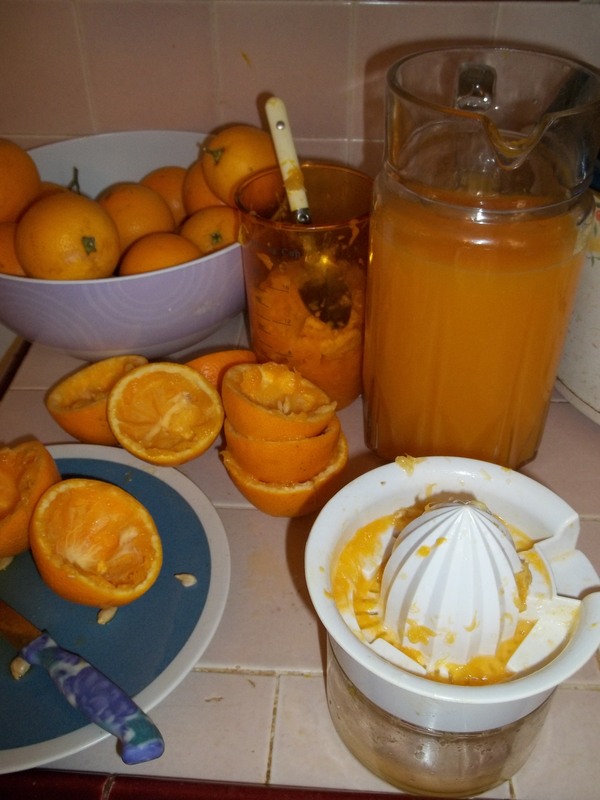 Using the same oranges for the jelly as for the pectin? Awesome. I had no idea how much work it was for so little. 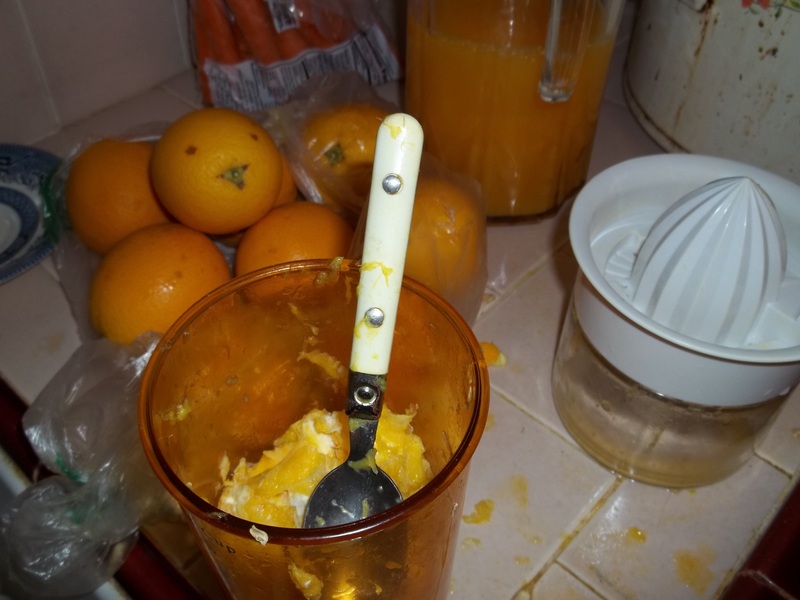 After putting serious elbow grease into juicing TONS of oranges (I see now why it is recommended to use big, juicy Valencia oranges instead of tiny, tart Southern California ones), I had barely two cups of pith and a nice pitcher of fresh juice. 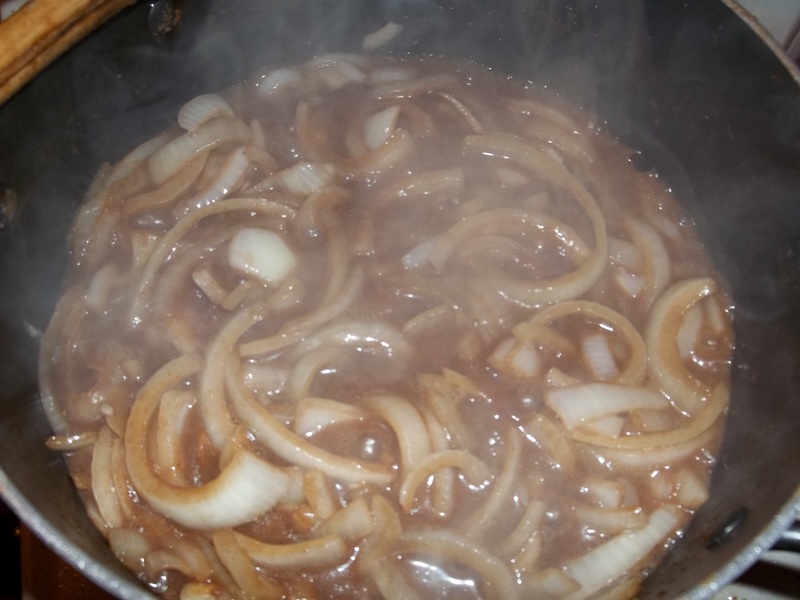 After letting the mixture set overnight and simmer briefly, you let it strain through a jelly bag. This is probably a great time to mention my jelly-making supplies. 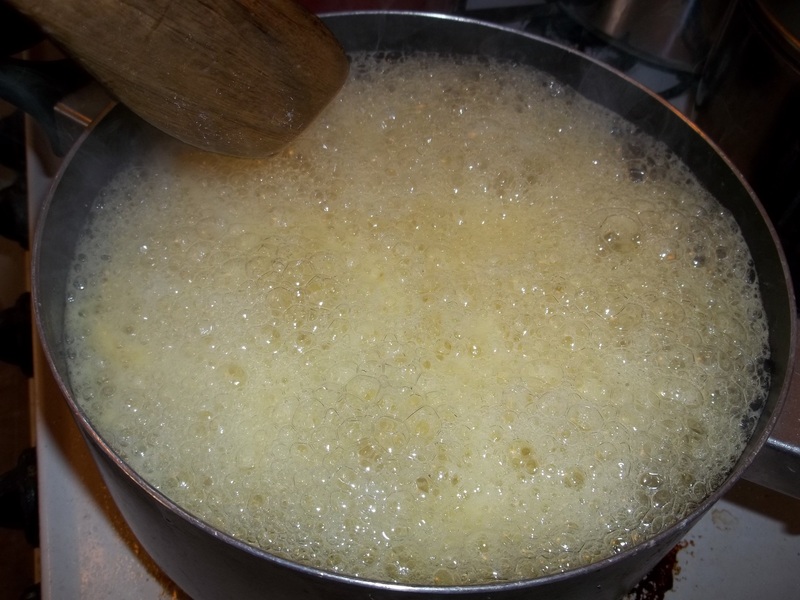 When I first started making my own jams, jellies, marmalades, preserves and whatnot, I didn’t have a canning kit, a jar-boiling rack, or really anything aside from a really good Swedish-made plastic oven mitt that can reach into boiling water and grab a jar. Over the last few months I have acquired a funnel that is Mason-jar sized (excellent for avoiding spills — you haven’t lived until you’ve splattered boiling fruit on yourself) and a jelly bag strainer set, with cloth bags and this contraption, that is supposedly supposed to fit on the sides of a bowl, but it doesn’t fit any bowl I own. I had to make do. I also have a cheap, hand-twisty juicer that I bought at a drug store, but if you are going to do what I did, I recommend getting a nice automatic juicer. The dozens of oranges took forver to juice! 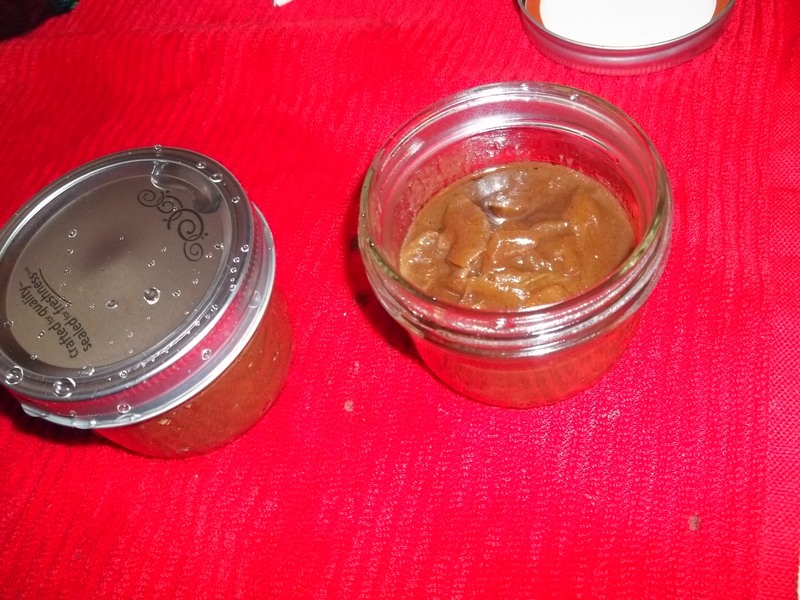 Eventually the mixture reached a gel point, which is usually when the jam is quickly ladled into hot, sterile jars and sealed — usually it’s already gelling or looks like it’s about to gel immediately. Well, not this stuff. 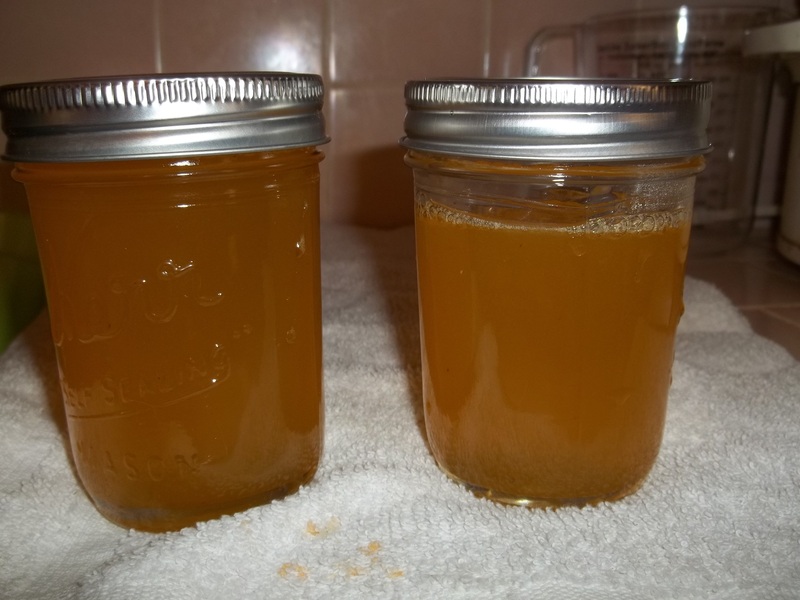 Hours of slicing, juicing, scraping, setting, boiling, stirring, skimming and watching led to two jars — well, not quite. And I won’t know if it will really gel for the next two days. What a buzzkill.